Vietnam is a country spanning 1,650 kilometres from north to south and making that stretch takes some time. It is possible to cut out sections of the country by shipping your motorbike by train and rendezvousing with it at any of Vietnam’s railway stations. This can prove a very beneficial (and safe!) alternative for anyone whose only other option is racing down Highway 1. 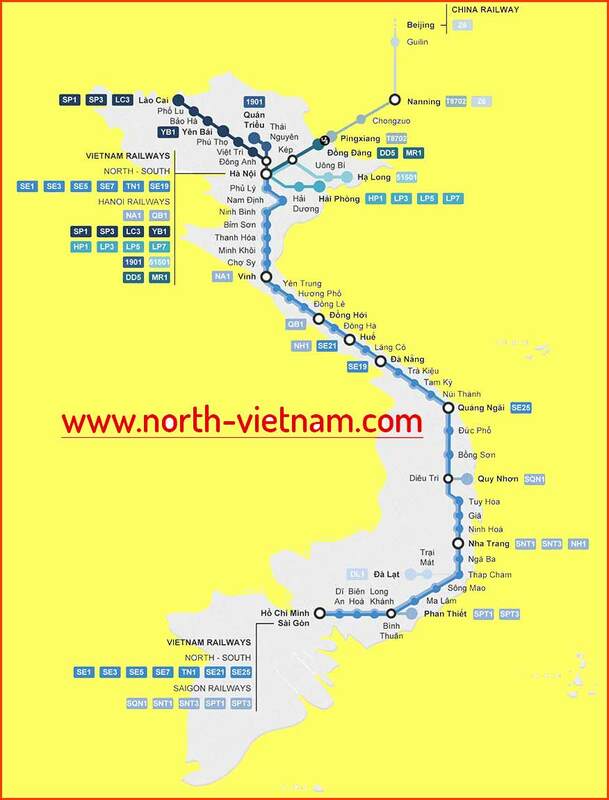 As you can see from the map of train stations around the country, Vietnam’s railway system is very one-dimensional. It primarily offers locations along the coast. This can be a problem if your chosen destination is Buon Ma Thuot or Can Tho but an advantage if you’re heading to Sapa. Some train stations are also named by the area they’re in rather than their famous neighbor who you may be trying to find. Quy Nhon’s main station is Dieu Tri Station, Mui Ne/Phan Thiet are near Binh Thuan or Muong Man stations, and Sapa is closest to the station in Lao Cai. When shipping your motorbike by train, you should take note of how long it will take for your bike to arrive at your chosen location. Your bike will be traveling on a different train and can take anywhere from 1-7 days depending on how far it has to travel and how busy the service is. Porters at the train station can give your this information so you can plan efficiently. Luggage room (Phòng hành lý) in Hue. Take your bike to similarly marked rooms at the train station. Do not fill up your bike with petrol before heading to the train station. Someone at the station will empty your tank you get there. Your bike will be part of the cargo on a freight train. Freight offices generally operate from 7:00-17:30 but be sure to arrive way before its closing hours. Find the office marked Hành Lý (freight) and go inside to make your booking. Not all offices will have someone that can speak English working behind the desk. But with some pointing and patience, it shouldn’t be too difficult communicating where you want your bike to go. Make sure to also find out how long it will take to arrive at its destination. Staff will request your passport, address, phone number and motorbike blue card and process the details accordingly. They will then provide you with a receipt with all of your details. This receipt is essential for picking up your bike at its destination. Staff will not keep your blue card or your passport so make sure to get them back before leaving. Your receipt should look something like this with a few added details. Once the transaction is complete, someone will prepare your motorbike for transportation. Make sure to remove anything of use or value, including lucky charms, before kissing it hẹn gặp lại. The station attendant will give you the wing mirrors or else they will be stored underneath your seat. He will siphon out the petrol from the tank. The motorbike will be taped up in cardboard and other makeshift items to avoid any damage during its travel on the train. We suggest you take pictures of the bike for markings just in case it gets damaged on the trip (although I cannot provide advice on what to do if it does get damaged in transit!) Your bike will disappear to somewhere behind the scenes and you’ll have that sense of achievement you get every time you send a package off at the post office. At some point in the following days, somebody will call you to inform you that your bike has successfully arrived at its destination and it’s time to pick it up! I wouldn’t rely too heavily on that phone call though. If it gets to the end of the stated arrival day and you haven’t heard anything, go down to the train station and stage an inquiry. Regardless as to whether you receive the phone call, scout out that office marked in your new favorite Vietnamese word (hành lý) and be equipped with your passport, blue ownership card, receipt and your helmet. The staff at the freight office will check your receipt and direct you to your bike for a soppy reunion. You might even be lucky enough to unpackage it too. Give the member of staff the handling fee (somewhere between 50,000-70,000VND) and check for any damage from its delivery. Finally, ask staff for the nearest gas station and fill up before you set the highways on fire. That’s it! Best of lucking shipping your motorbike it Vietnam and let us know how you did in the comments below.